After moving everyone over from Ansa House in September, we finally held our official ‘MID House Exclusive VIP Launch Event’ on Friday 1st December. This was a proud day for all us MID Comm’ers and we were happy to invite some wonderful guests down for a day of talks, tech demonstrations and fun activities. Ian and Christine Duckworth, Mayor and Mayoress of Rochdale, were able to come down to the event which is amazing as we are proud to support our local area. In addition to this, we were ecstatic to have guest speaker Steve Rumbelow, Chief Executive of Rochdale Borough Council, join us on the day as well as being joined by Tony Lloyd MP and Nicola White MBE through the power of video. 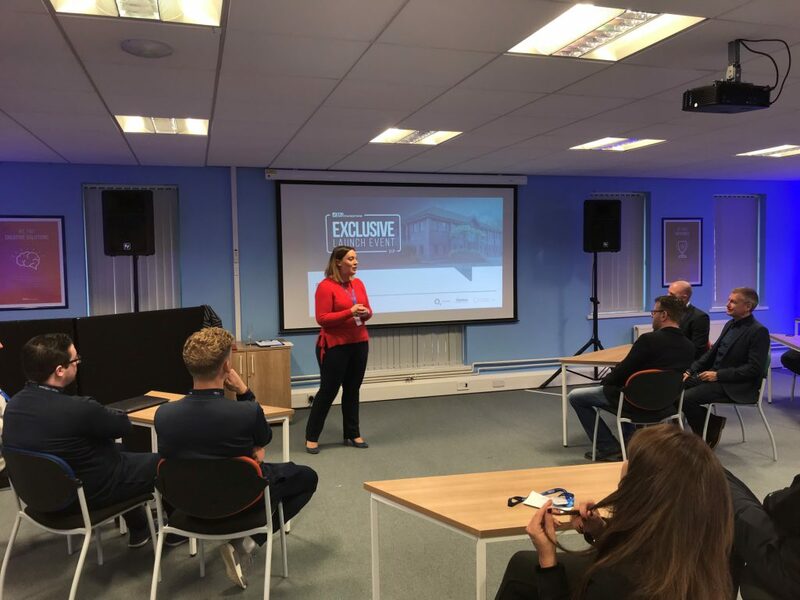 Moreover, we had some insightful talks from our very own Jenn Hulme, Head of HR, John Harvey, Operations Manager and Martyn Barrow, Business Development Manager. It was a great day and it really signifies how far MID Communications has come on over the past year! Unfortunately, our CEO, Danny Simpson, couldn’t make it on the day because this baby that he had been planning for around 4 months had to take a backseat to the birth of his new baby boy, so big congratulations to both Danny and his wife Jody. Despite his presence being missed, everything fell into place and we put on an experience for our guests which we believe gave them lots to take away including some goodies and a fantastic prize draw. We were pleased to see numerous guests from businesses and charities including our partners as well as others from the local area. Having these important guests who are leaders in their respective fields come and support us, on what was a big day for MID Comms, is amazing and we will enjoy more opportunities to collaborate going forward. 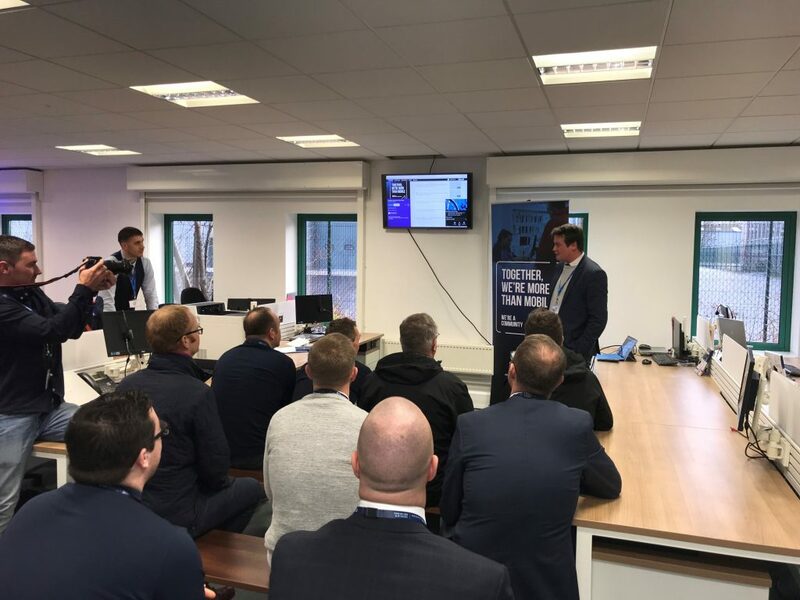 One of the workshops at our MID House Exclusive VIP Launch Event was run by our Business Development Manager, Martyn Barrow, with the intention of showcasing to our guests how, at MID Communications, ‘Together, we’re more than mobile’. Martyn held a 12 question quiz based around the work we do in our local community, how we lend a helping hand to local charities, how we support our customers with their events and also how our gurus assist locally with community events. Furthermore, the workshop looked at our MID Communications employee survey and the results around staff engagement, showing exactly what makes us ‘more than mobile’, not just from an external perspective but also internally, with some fantastic feedback coming from the whole of our teams. Our new tagline for 2018; ‘Together, we’re more than mobile’ is something we really wanted to hammer home to everyone that attended as it is something that, as a business, we really believe in and want to promote going forward. Our second workshop was led by Jenn Hulme, our Head of HR here at MID Comms, where she reviewed employment law of 2017 and took a look ahead at key HR issues affecting businesses in 2018. Always a hot topic is a discussion about Brexit and its effect on employment rights, with Jenn delivering her thoughts and ideas on the issue going forward. She asked local businessmen and businesswomen in attendance to reflect on their policies and procedures to ensure they are ready for what is sure to be a very important year in 2018. 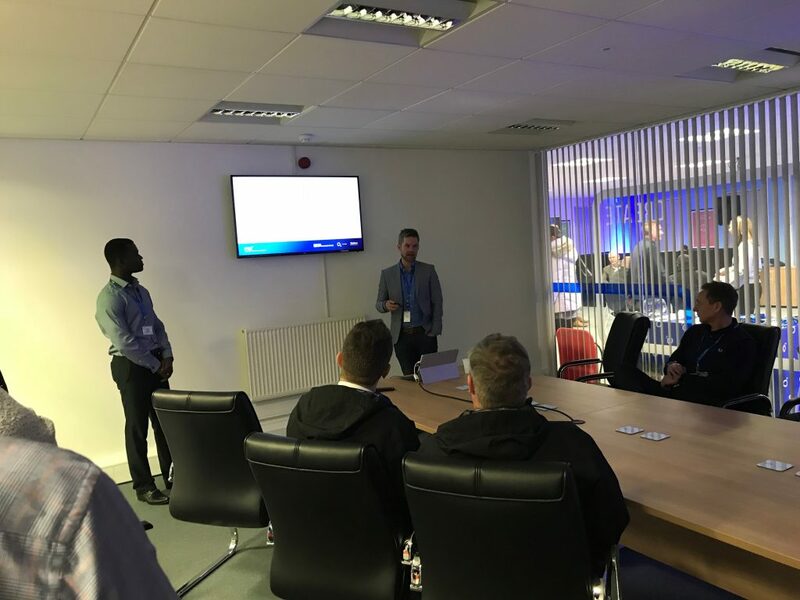 Our final workshop from our VIP Launch Event saw John Harvey, our Operations Manager, along with the help of our IT manager, Sam Sankah, present on how to be green as a business as well as the issues on the horizon with GDPR coming in May 2018 and cyber awareness going into 2018. John went over the benefits of being green, how MID Communications is taking positive steps to become green as well as who we have engaged and will get engaged in this initiative. Moreover, Sam guided us through the changes coming up next year with General Data Protection Regulation (GDPR) that are really going to affect businesses as well as what MID Comms has done regarding cyber awareness and where we will be taking it in the future. The main aim was to show our guests what we are doing in these key areas of the business and how they can follow our lead if they haven’t started already. 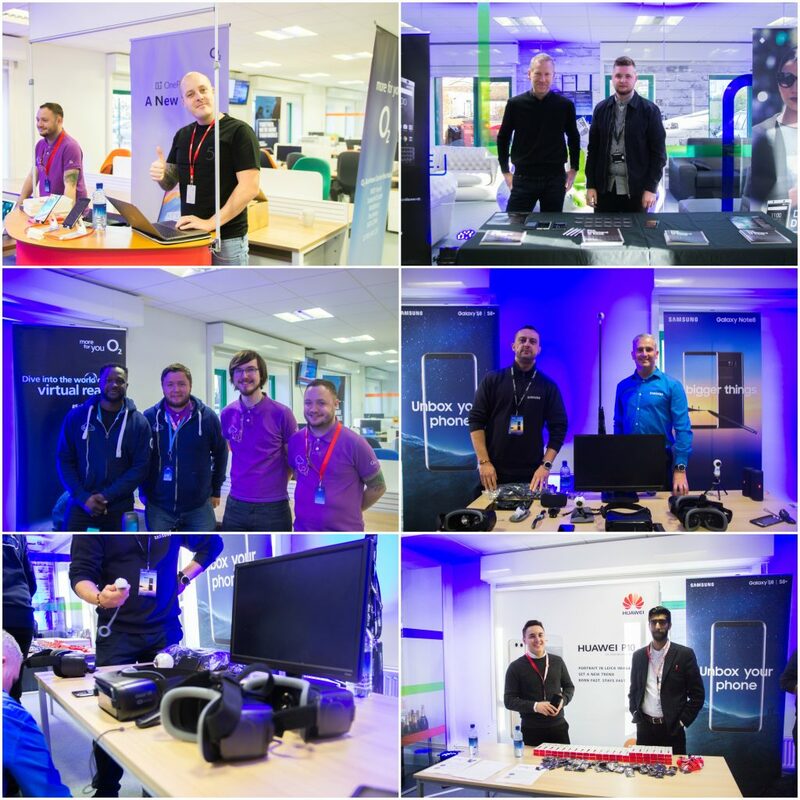 Throughout the day our guests had the opportunity to visit our vendors from Samsung, OnePlus, Huawei and Blackberry, all demonstrating some great tech along with some of our O2 Gurus great insights into using these devices. They had everything from smartphones and VR headsets to a remote control BB-8 unit for the Star Wars lovers amongst our guests and teams. It was a fun and interactive way to round off the day whilst at the same time showing our visitors what devices we have available. All in all, it was a proud day for MID Comms, everyone at MID House worked extremely hard to put the day together and make sure it ran smoothly. We had a great time entertaining our guests and hope they all left with some key advice and knowledge as well as an insight into us as a business.